Russian President Vladimir Putin and his Turkish counterpart Recep Tayyip Erdogan held a joint press conference following a meeting in St. Petersburg. "We've just completed the main part of the negotiations with president Erdogan," Putin said. "We've had constructive discussion on the bilateral relations." "First of all, despite political situation at home, president Erdogan found time to visit St. Petersburg," the president said. Talks in St.Petersburg are very important for future of the Russia-Turkey relations, the president added. "We also will discuss the possibility of lifting economic measures imposed on each other," Putin said. Russia will gradually lift the restrictions it had imposed against Turkish companies, Russian President Vladimir Putin said during the press conference. "After the press conference, we shall have an opportunity to speak to the heads of large companies from both Russia and Turkey. I mean the gradual lifting of the special economic measures, restrictions introduced earlier against Turkish companies," Putin told a press conference after the meeting. We've discussed the reviving of our economical collaboration, Putin added. 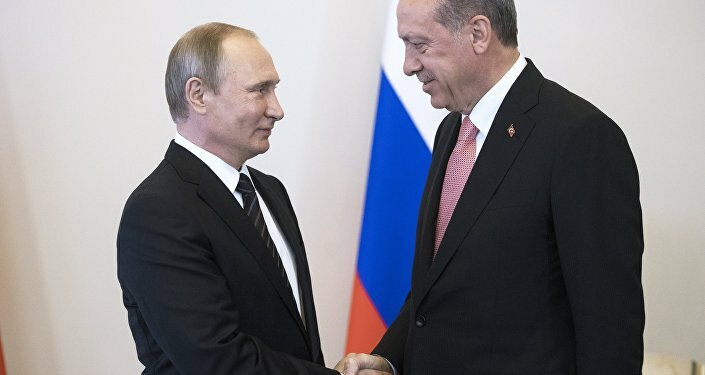 Russia and Turkey have all the needed resources to restore ties and bring them to a pre-crisis level, Russian President Vladimir Putin said after the first in nearly a year talks with his Turkish counterpart following the bilateral diplomatic crisis Tuesday. 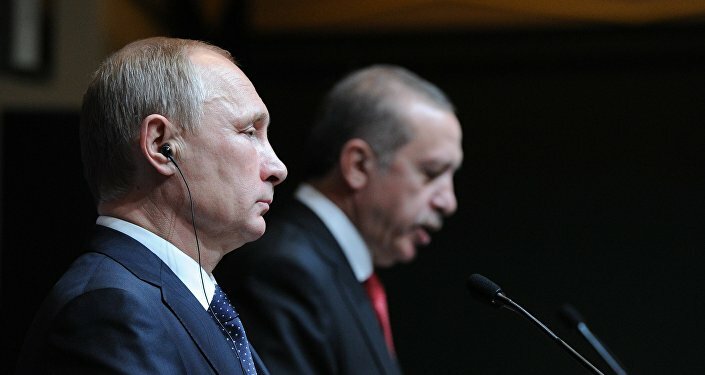 "I believe that we have all the necessary prerequisites and opportunities for restoring our relations between our two countries to the full extent and Russia is ready and willing to do that," Putin said in closing remarks of his statement alongside Turkey's Recep Tayyip Erdogan. Russia wants to fully restore ties with Turkey, to which end it is drafting a 2016-19 mid-term program of cooperation in areas including the economy and science, Russian President Vladimir Putin said Tuesday. "As for restoring our relations to their full extent: do we want that? Yes we do, and we will be doing just that. After certain restrictions had been imposed in our relations, certain transformations have taken place since, and we will need to keep them in mind as we restore our trade and economic cooperation," Putin told reporters. In this regard, he said the sides decided to draft a mid-term program economic, technical and scientific cooperation for the next three years. "We hope to be able to come up with it within a week," Putin stressed after the first talks with Turkish President Recep Tayyip Erdogan in wake of a rapprochement marking the end of seven months of tensions. "We've also exchanged opinions on the situation in Europe. We will properly discuss crisis in Syria later," president Putin said. "I'd like to thank president Erdogan for opportunity to restore relations between our countries," Putin said. "Dear friends, ladies and gentelmen, I'd like to express my deep respect to president Putin. Today we had very comprehensive negotiations," president Erdogan said. 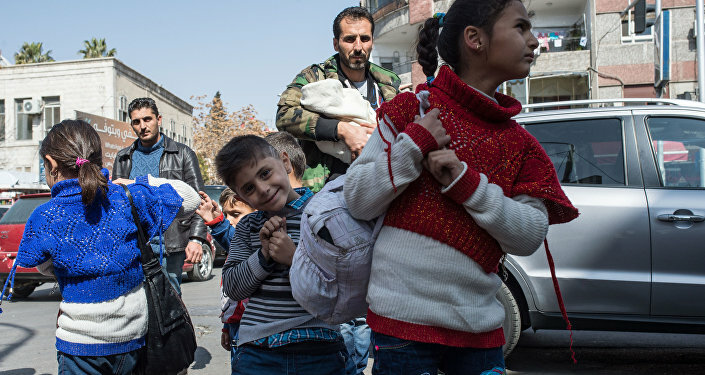 "Relations between Russia and Turkey can now be restored on the level we had before crisis." "Restrictions imposed on Turkish companies will be lifted and we'll be able work in Russia again," the president added. Turkey wants to bring ties with Russia to pre-crisis levels with cooperation in the defense industry sector and energy projects including the Turkish Stream gas pipeline and the Akkuyu nuclear plant, Turkish President Recep Tayyip Erdogan said at the press conference. "Our countries are committed and determined to getting our relationship to a pre-crisis level or even to a better position, we have the political will to do that. As a result of the negotiation we had today, political, cultural and economic relations between Russia and Turkey can finally be restored to the appropriate level we used to enjoy before the crisis," Erdogan said. Speaking after Russian President Vladimir Putin in St. Petersburg, Erdogan outlined a list of areas of cooperation where Ankara is eager to engage in cooperation. "I would like to emphasize that we are willing to provide strategic investment status to the Akkuyu project, and we have just reached an understanding on this issue with President Putin. We also intend to promote cooperation in the area of defense industry and defense production," he stressed. The Turkish head of state additionally pledged to implement the Turkish Stream natural gas pipeline project, vowing to ensure a route for Russian gas exports heading toward Europe. "The relations between Russia and Turkey are about more than just trade and economic cooperation. We hope that their restoration will help bring peace and stability in the region," Erdogan reiterated. "The next day after attempted coup in Turkey President Putin called me, it show the importance of relations between ou countries," Erdogan said. "I'd like to say to my friend Putin thank you, I'd like to express my respect and love to the press," Erdogan said. "During today negotiations we didn't discuss situation in Syria," Recep Tayyip Erdogan said answering the question from journalists. Vladimir Putin has confirmed, that the Syrian crisis will be discussed later. "We believe that the Syrian crisis can be resolved only through diplomatic desicion," he noted. "We have experienced many challenges in our relations recently, but we should restore our relations on pre-crisis level for citizens' sake," President Putin said in conclusion. Earlier in the day, Putin met with his Turkish counterpart Recep Tayyip Erdogan, who arrived in St. Petersburg for first talks to reset bilateral relations after the November 2015 downing of a Russian aircraft by Turkey.